The Google search box is the new confessional box for a digital age. A place where deepest fears and forbidden wishes find new, unfiltered expression. In this new confessional, we don’t seek salvation— we seek information. And the questions we ask it often reveal things about us that were previously hidden, or misunderstood. Subtitled, “Big data, new data, and what the internet can tell us about who we really are,” this book was written by a former Google data scientist who uses “confessional” search data on a vast scale to draw new insight into the human condition. It’s a fascinating and compelling work which kept me reading from cover to cover in one day. What I’m reading this week: “The Library Book,” by Susan Orlean 📚🔥 It’s every librarian’s nightmare. A devastating loss to a vibrant city’s collective culture and memory. In 1986, the same week as the Chernobyl nuclear meltdown crisis in Russia, the Los Angeles Central Library was set ablaze by an arsonist. The fire spread quickly through the old building and incinerated everything in its path, reaching temperatures of 2500 degrees Fahrenheit. Hundreds of thousands of books and priceless archival items were reduced to ash. Hundreds of thousands more were irreversibly damaged or severely threatened by water and smoke damage. The next day, thousands of volunteers converged on the building and formed a human chain, handing waterlogged books out of the building and rushing them to local commercial freezers to prevent mold from destroying them forever. I’m partway through this extraordinary paean to the glory of libraries and their uniquely important place in the American social edifice. Author Susan Orlean combines a detailed journalistic style with her characteristically vivid and evocative prose to do more than simply tell the tale of a devastating fire and rebirth. Along the way, she rekindles her (and our) love for the American public library, and illustrates why this beloved institution perpetually rises from the ashes, again and again. The local newspaper reporter called me up earlier this week, wanting to do a story on our seed lending library. Already, I’m thrilled. So we talk for a while about the project, about libraries, about card catalogs and antique dealers, and in particular about the enduring power of books. All in all, a very nice conversation with a very kind, very generous journalist. Then the story comes out in this morning’s paper. I’m excited to see it there on the front of the local section, but apprehensive because you never know what angle a newspaper will take with a story until you read it. So I read it. And I’m even more thrilled. It goes something like this: Libraries are checking out more books — real, printed books — than ever before. Even in today’s world of computers everywhere, people have a seemingly unquenchable desire for real, physical books and libraries. Plus, libraries are adding new services that people want and need, like after school homework tutoring centers and seed lending libraries. They’re even bringing back the card catalog, which they have kept in storage all these years, just waiting for the right time to bring it back into the sunlight again. Old is new again, and it’s a good thing. It warms my heart. Given the theme of the article, it seemed only appropriate to share it in true “vintage” printed newspaper format and layout. The web version doesn’t really do it justice. 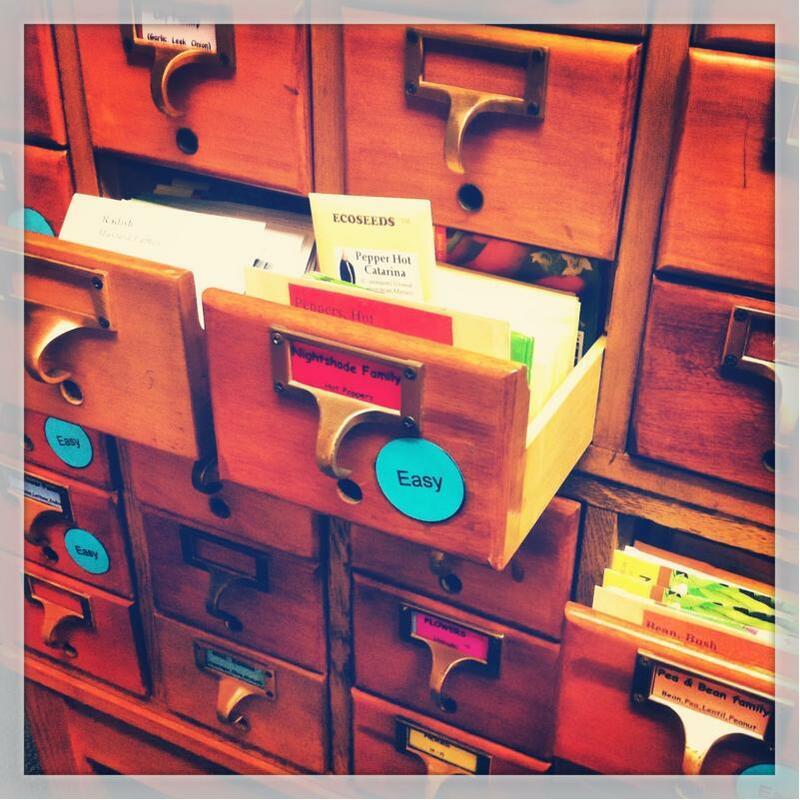 People sometimes ask me, “Whatever happened to the card catalog”? Hayward Public Library was one the first libraries to computerize its catalog way back in the 1980′s. Since that time, our card catalogs have been officially out of service. But we have kept them in storage for all these years, just waiting for the right reason to use them again. Meanwhile, library card catalogs have been showing up on the antiques market lately, some at eye-popping prices. According to antique dealers, card catalogs are now considered retro-chic, very desirable, and they are getting harder and harder to find. Just in my four years as library director, the number of people who have asked me if we still have our card catalogs and if we would sell them, runs in the double digits. Apparently, card catalogs make great storage for curios, wine, yarn, socks, etc., and are even used as display furnishings in high-end boutiques – who knew? But my answer was always no – not only because they’re public property, but also because along with library books and library cards, the card catalog is one of the most emblematic symbols of the library’s rich and proud history, and it still has value and utility even in this day and age of computers everywhere. In fact, we have found the perfect use for the card catalogs again, and will soon be bringing them back into the sunlight in a new and innovative way. We’re starting a seed lending library this coming April. And as it turns out, the old card catalog is just the right size for organizing and storing the seed packets. I’m looking forward to this great new resource, and I think our community will be excited about it, too. There’s a certain zen-like harmony to the idea: re-using and re-purposing that which is useful; life springs anew; sharing information and resources with the whole community; all that good stuff. It’s funny, I remember using the card catalogs in the Main Library when I was a kid. I wonder if I opened that very same drawer, way back then? Today, as a librarian who has the incredible good fortune to work and serve in my hometown library, it will be satisfying to see the card catalogs back in useful service again, as they should be — in the public library where everyone can enjoy and benefit from them (not just the wine and yarn collectors). Stay tuned for more announcements about the seed lending library and our first annual Seed Read and Plant-a-Thon event, coming soon. 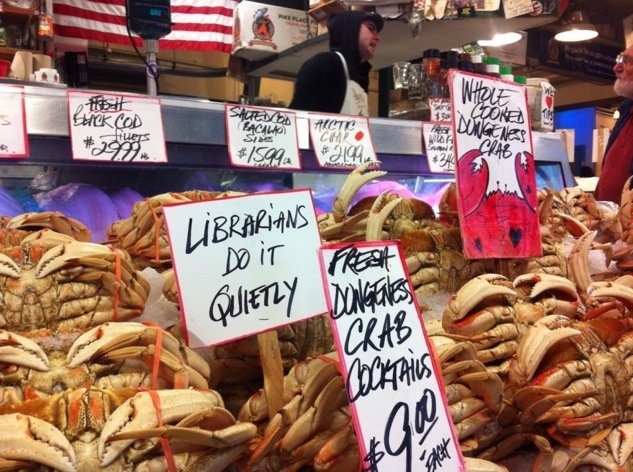 Image: Sign spotted at Pike Street Market, Seattle, during the American Library Association midwinter meeting, January 2013. 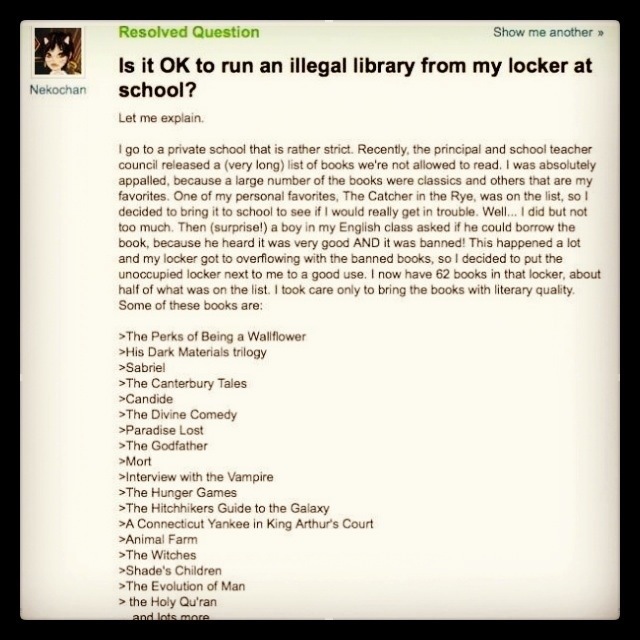 Lately we’ve been seeing more and more common sense, passionate appeals in favor of libraries and their continued importance in society. This new, distinctly 21st century sensibility to libraries has the feeling of rediscovering an old friend, and riffs on a central theme: The public library is a vital local resource; it is well-known and heavily used more than ever before, even in this digital age; and it has a rich and vibrant history rooted in the foundations of human civilization itself. What is perhaps most remarkable, is that this new trend of pro-library sentiment is showing up all over, from the mainstream media to the relatively obscure corners of blogosphere where one finds stories like the one linked above (and where City Literal proudly resides). This reversal of fortune, which may be an outgrowth of the “new normal” created by the Great Recession, is so astonishingly different than the zeitgeist of just a few years ago when everyone was gloomily (or gleefully, depending on who you listened to) predicting the final demise of the library. The change is, well, refreshing. And frankly, it’s long overdue (no pun intended).